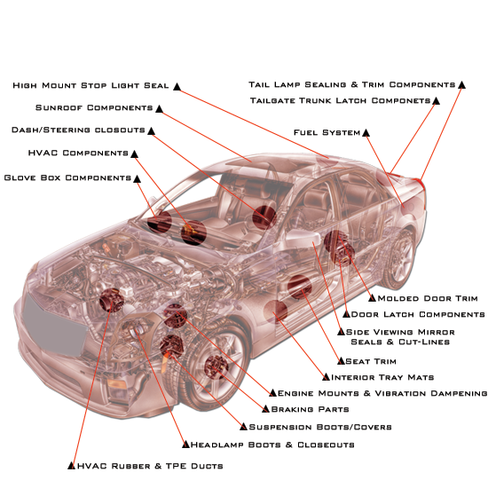 Triangle can be your go-to source for Automotive & Transportation Industry products. Through both its Rubber Molding and Plastic divisions, Triangle Rubber and Plastics offers the unique ability to develop and produce products for both interior and exterior applications in these markets. We can produce TPE, Plastic, Rubber, and Two-Shot products. See image below for current areas we produce products for.